The bark, leaves, flowers, fruits, and seeds of the pomegranate (Punica Granatum) have a long history of use as a medicine, particularly in the Middle East, India, and China. The Chinese and South Africans use it to treat inflammation, rheumatism, irregular uterine bleeding and hemorrhaging, and abdominal pain. In Unani medicine (a traditional practice of medicine in south-Asian countries and the Middle East), pomegranate is prescribed as a food supplement to treat diabetes. 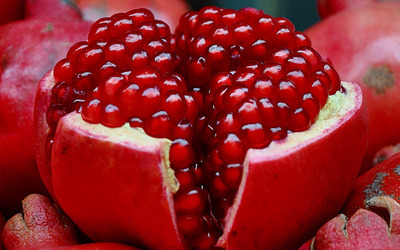 Due to its potent antimicrobial properties, pomegranate has even been used to treat intestinal worms. 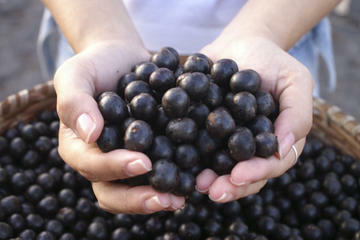 Now, research is revealing the extract’s promising antioxidant and anti-cancer potential. 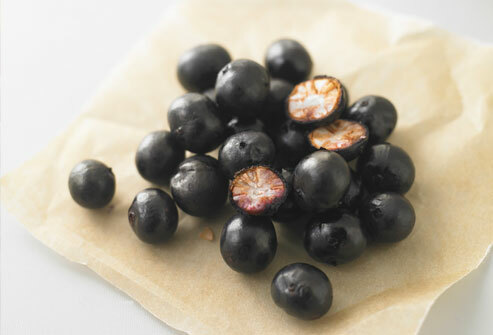 Without enough antioxidants, your body can’t fight off free radical damage, and becomes vulnerable to aging and disease. Pomegranate delivers a powerhouse helping of antioxidants when consumed internally as well as applied topically. Pomegranate’s antioxidant activity is fueled by ellagitannin compounds (punicalagins and punicalins being the standouts). It’s also packed with vitamin C—40% of the recommended daily value, in fact! These antioxidants, along with gallic acid and catechin, help accelerate wound healing, as well as repair sun-damaged, aging skin. Experts have discovered that pomegranate increases the longevity of fibroblasts (cells responsible for collagen and elastin production). Collagen and elastin work together to give strength and support to your skin. A Medical College of Virginia study showed that the oil from pomegranate seed extract helps boost collagen production, thereby thickening both the outer and inner layers of the skin. Other studies suggest that pomegranate seed extract may demonstrate a prohibitive influence on some forms of skin cancer. Snacking on pomegranate seeds is one way to benefit, but if you’re interested in the skin-saving benefits, seek out pomegranate seed extract oil in stand-alone form, or as an added ingredient in your skin care products. An anti-inflammatory compound in pomegranate and pomegranate seed extract called punicic acid has been shown not only to reduce the inflammation that causes joint pain and arthritis, but also to fight cancer. A 2002 study published in Breast Cancer Research and Treatment showed that pomegranate seed extract suppressed the growth of estrogen-dependent cancer cells in culture. 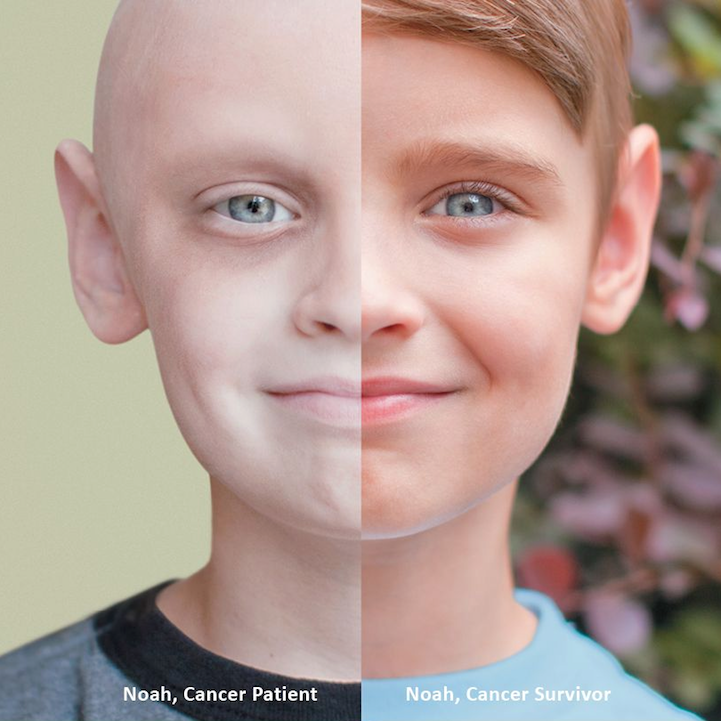 It also inhibited the ability of cancer cells to cross barriers and spread, and even increased apoptosis (cancer cell self-destruction). A 2010 study in the International Journal of Oncology confirmed pomegranate’s influence on cancer cells, showing that cancer cell cultures treated with punicic acid experienced apoptosis at rates 91% higher than untreated cancer cells. 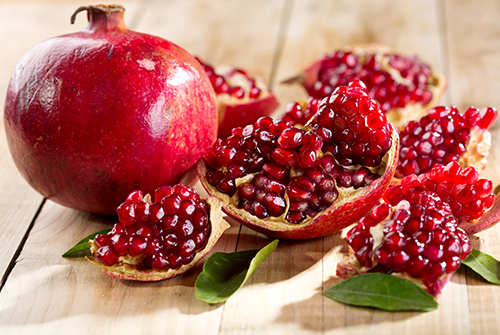 Research has shown that pomegranate seed extract effects prostate cancer in the same manner. Pomegranate seed extract, along with pomegranate flower extract and pomegranate juice, has also shown promise in the treatment of colon cancer and leukemia. This entry was posted in Cancer, Health and tagged aging, anti, cancer, cure, effects, food, fruits, health, natural, pomegranate, prevent, red, reduce, wrinkles, young anti-aging, younger.